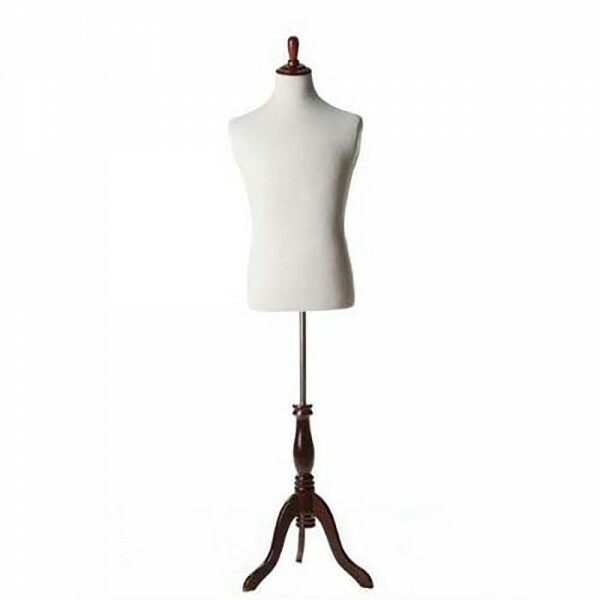 A men's form torso mannequin is covered with soft white cloth. It has metal stand and walnut wooden base that adjusts from 5' to 6' and 3". Mannequin has black wood finish tripod base & neck finial.